We got back from Phoenix on Sunday afternoon and we had a great time! Susi and I left last Wednesday and made it into Phoenix around 6pm. It was so warm, it was nice to just sit outside and not be freezing. We had dinner at our hotel and had a few drinks while waiting for Cindy and Chelsea to arrive. While sitting by the pool, it started lightning and thundering and then the rain started. It was so windy and just crazy outside, but still warm. Thursday morning, we had to get up early to drive to Tucson, about 120 miles away. Chelsea had an audition at the University of Arizona. She is an opera singer and was auditioning for a full ride scholarship. She has a beautiful voice! 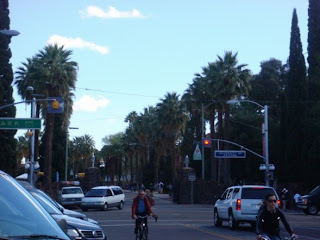 The University of Arizona campus was so nice and the town around it was nice also. There were several cute little shops and restaurants. 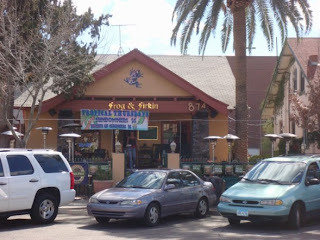 We had lunch at a place called Frog and Firkin. It was a fun place and we sat outside on the patio and watched the planes from the air force base fly around. Susi and I spent the rest of the day shopping, while Cindy and Chelsea were meeting with professors. We had dinner at our hotel and had a few drinks until Cindy and Chelsea came back. We met 2 guys that went to the U of A. They were very interesting and we carried on a great conversation with them about politics and just life in general. That was probably my favorite thing about this trip, we met some of the coolest people. The 1 guy was 28 years old and he was a musician. He was also a firefighter and that was a real passion of his. He was sharing his life dreams with us and that was so intriguing to me. 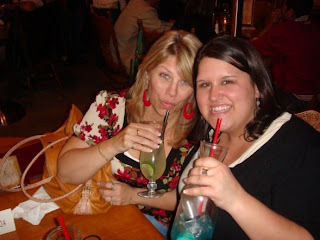 After dinner, Susi, Chelsea and I headed over to a little bar called Dirt Bags. When we got there it was dead. There were a group of guys that were staying at our hotel and they were in there. We ended up sitting with them and having some drinks and it was fun to see where they were from and what their stories were. We had a great time! Friday, Chelsea had her last audition so her and Cindy went to that and Susi and I just hung out at the room and ordered breakfast. We got ready and walked over to the campus to meet up with them. After Chelsea was done, we headed over to a little brewery in town and had some lunch. It wasn't very nice Friday. Pretty cloudy skies and a silly breeze but we still sat outside. 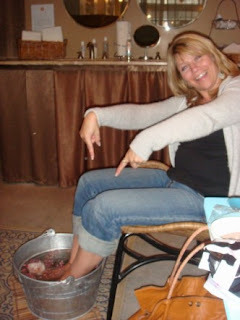 After lunch we went to a spa and did foot soaks and I did a facial. It was so nice to just relax and my face was so soft afterwards! Friday night we went into downtown Tucson and had dinner at an authentic Mexican restaurant. They had the best Queso I've ever had and the pina coladas were pretty good too :) After dinner, we headed back to our hotel and hung out in the bar for a little bit and then headed up to bed. We wanted to get up early to head to Scottsdale for some shopping. 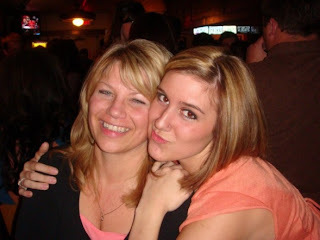 Saturday was Chelsea's 19Th birthday, so we were also ready to celebrate. We stopped in Casa Grande on the way to Scottsdale, to check out Susi's parents new house. It is in a great little town that is booming and it is nice and secure. I think they will really enjoy living there. After that, we continued on the Scottsdale. It was a beautiful day out. We stayed at the Marriott and had a suite so that was really nice. We started out having lunch at this wonderful little place called Olive & Ivy. From the outside, it looked super cute and it got even better once we got inside. It was located right by the canal and had a large patio with grass and stone everywhere. The tables had the big umbrellas and there was great music playing. Just a great atmosphere. 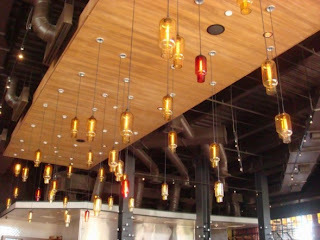 When you walked inside they had these really cool lights hanging that were like blown glass and they were orange and yellow. We had a great waiter, who was actually a minor league player for the Boston Red Socks. He had his eye on Chelsea and she kept a close eye on him too. He had a great personality and made sure we had a great time. The restaurant even makes their own Gelato which is Chelsea's favorite thing, so he brought her a sample platter of all 17 flavors and then she got 3 big scoops of her favorite. It was a great time. After lunch, we started shopping! That mall was AMAZING :) I am definitely a shopper and anyone that knows me, knows that. The mall was 3 stories and had every store from Tiffany & Co. to Louis Vuitton and Anthropologie. We were there for a few hours, but I could have been there all day! We stopped at a wine bar around 7:30 and had a few drinks and some appetizers. We planned to just head back to the room since we had to be up at 5:00am to catch our plane at 7:30, but on the way back to our hotel, we passed a place called the Sadle Ranch House. It looked way too fun to not stop, so we did. Cindy started talking to the manager and before we knew it, we were at the bar getting a few drink from him and then a few minutes later he seated us at a table right by the fire outside. It was another cool place with a great atmosphere. They had a mechanical bull and it was fun to see people get on that. 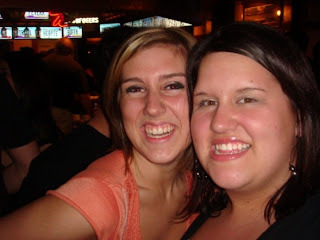 We had lots of drinks, lots of laughs and lots of fun. 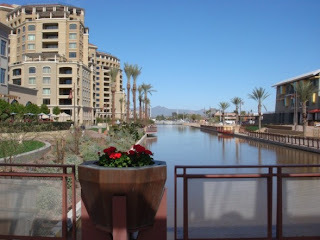 The next time I go to the Phoenix area, I will definitely be going back there. We had such a great time and I'm so glad I went!